Titan Comics are excited to announce that NBA legend Kareem Abdul-Jabbar will be unveiling his unique take on Mycroft Holmes at the summer global event San Diego Comic-Con this July 2016. 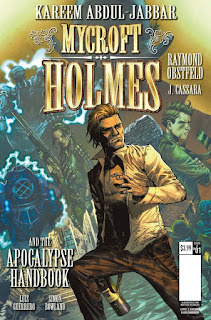 An all-new comic book adventure, The Apocalypse Handbook - written by Kareem Abdul-Jabbar and Robert Obtsfeld (Joker and the Thief) - sees the diffident, brilliant Mycroft pulled into a globe-spanning adventure at the behest of Queen Victoria and a secret organization at the heart of the British government. A madman is on the loose with futuristic weaponry capable of destroying civilization in the most horrific manner. Can the smartest man in England set aside his idle, womanizing ways long enough to track down the foe that may be his match? This hotly anticipated comic book - which hits regular stores on August 3 - will exclusively debut at this year’s San Diego Comic-Con (July 21-24, 2016) with a special never-before-released variant cover by series artists Joshua Cassara (New Avengers, The Troop) and Luis Guerrero (The Twelfth Doctor) – only available to purchase at the show at Titan booth #5537. As part of this special SDCC appearance, Kareem Abdul-Jabbar as well as series artists, Joshua Cassara, Luis Guerrero, and Mycroft Holmes and the Apocalypse Handbook editor, Andrew James, will be speaking at an unmissable panel on Thursday July 21, 2016 at 12:00PM (room 5AB), taking SDCC attendees exclusively behind-the scenes of the new comic series and revealing special artwork previews. SDCC attendees will also have the unique opportunity to meet Kareem and the creative team behind the comic book straight after the panel for a special Mycroft Holmes comic book signing at 13:30PM in Autograph Alley AA02. To keep up to date with Titan Comics and their plans for San Diego Comic-Con, follow on Facebook, Twitter and Tumblr. Titan Comics offers astounding creator-owned comics and graphic novels from new and world-renowned talent, alongside the world's greatest licensed properties and classic graphic novels re-mastered for brand-new audiences. Kareem Abdul-Jabbar is the NBA’s all-time leading scorer and a six-time NBA champion. He is also one of a handful of influential and respected black men in America who has a national platform as a regular contributing columnist for The Washington Post and Time Magazine, where he shares his thoughts on some of the most socially relevant and politically controversial topics facing our nation today. After 50 years as an athlete, activist, and New York Times bestselling author, he offers his perspectives on how we can work together to solve some of these issues as a nationally recognized speaker who appears regularly on the lecture circuit. His new political book, Writings on the Wall - Searching for a New Equality Beyond Black and White will be released August 2016 by Time Books and offers his personal perspectives on political issues facing America today. In 2012, Kareem was appointed to be the U.S. Cultural Ambassador by then Secretary of State Hillary Rodham Clinton. Currently he serves as the chairman of his Skyhook Foundation whose mission is to “Give Kids a Shot That Can’t be Blocked” by bringing educational opportunities to under-served communities through innovative outdoor environmental learning. Kareem’s most recent projects include the HBO Sports documentary, Kareem: Minority of One, which debuted in early November 2015 as HBO’s most watched and highest rated sports documentary. His debut novel Mycroft Holmes—a mystery novel and the first of an action/mystery series based on Sherlock Holmes’s savvy older brother—was released in by Titan Publishing in September 2015. 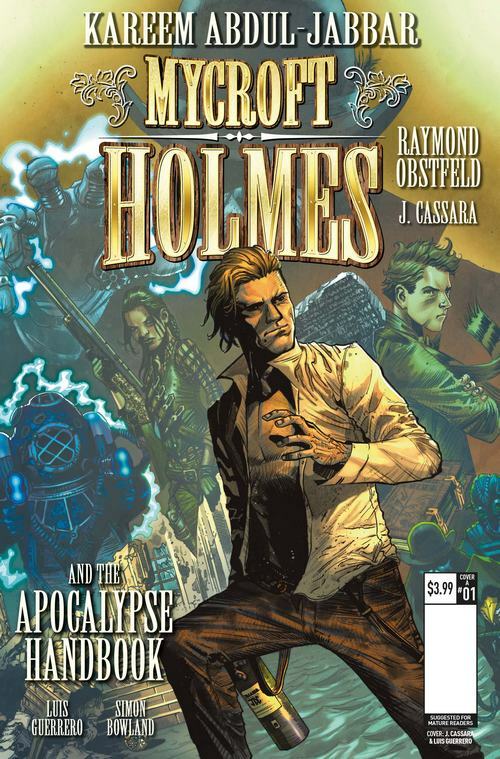 Following the success of his novel, the comic, Mycroft Holmes & the Apocalypse Handbook will be released during Comic-Con in San Diego in July 2016.